This Article Was Live On: At 5:10:00 PM And Till Now HaveNo comments. I pray that this festival may be the start of your brighter days filled with happiness, good luck, and prosperity. 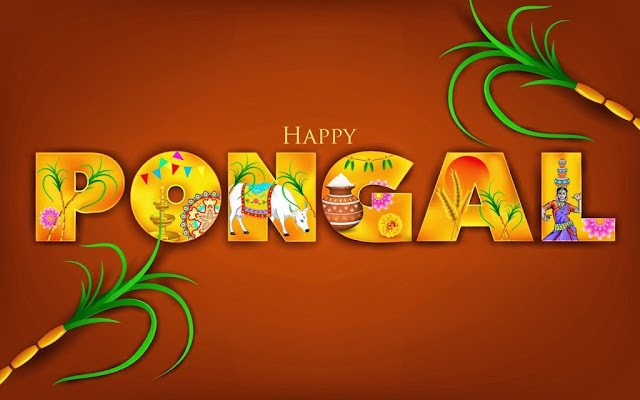 May the Sun god shower his warmth on this happy day of PONGAL. May the sugarcane offer its sweetness on this joyous day of PONGAL. May prosperity and happiness flourish in your lives throughout the year as you celebrate the harvest festival of Pongal! Hope this festival marks the beginning of a happy season, that is joyous and cheerful and one which brings with it good luck and prosperity for always. Greetings on Pongal!